Junkle Bells November Edition...in December...Life Happens! - Jill Ruth & Co.
Junkle Bells November Edition...in December...Life Happens! Well. Went to take some pictures for my post. Needed a tripod. Not enough light. Battery for camera died. CanNOT find extra battery or batter charger. Believe they are together hiding from me. So...I accept what I have and wait until I find my charger. Patiently wait. I saw a tinsel wreath project here at Creature Comforts and thought, "hmm...kind of neat..." but I don't have tinsel and really don't like that kind of tinsel. When we got out our boxes of decorations what did I find?!?! Three packages of tinsel I bought last year after Christmas on clearance for 25 cents each. Guess I did like this kind of tinsel last January! I've been buying every embroidery hoop that I find at auctions, garage sales, & thrift stores for a couple of years because I see potential. Even bought some with lovely vintage fabric already framed in them and ready to hang from Leah. She had awesome fabric in them! 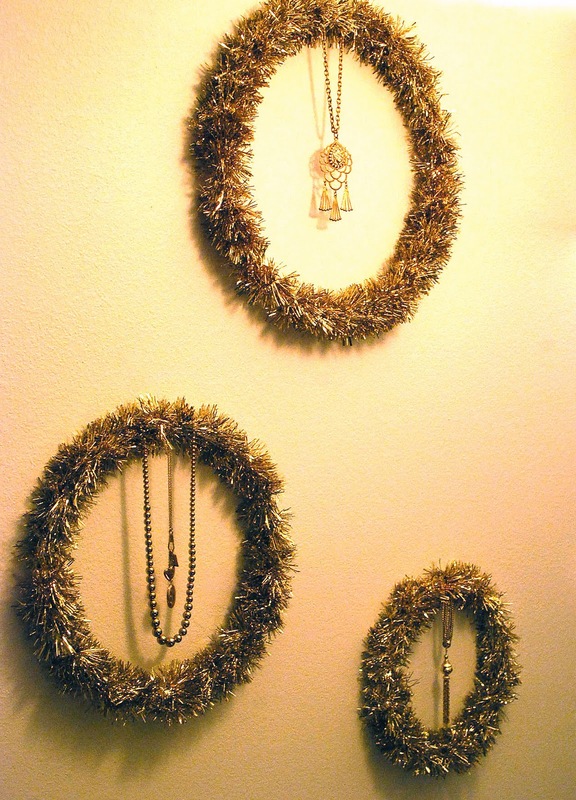 The best part though was after I wound the wreaths and hung them, they looked too modern and then I found a pile of vintage jewelry a friend had given me. Not the really old kind I usually craft with, but like 50s to 60s style. 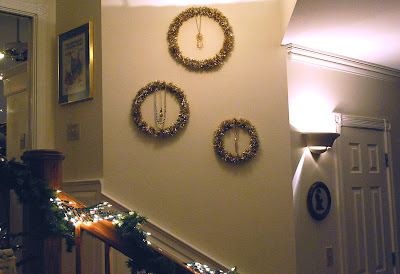 I just wrapped the chunky gold pieces around the top of the wreaths and let them dangle down the center. Now, they look mid century modern and I love them! The grouping of three all different sized hoops works really well on this odd shaped wall we have just off our foyer leading up the stairs. My Junkle Bells tree sits just to the left of the picture in the foyer. But, no more pictures until I find that battery! If you have a junk Christmas Project please link up below and share! Love this project! Great use for the embroidery hoops. I see those a lot at thrift stores but can never really figure out what to do with them. I have a junk Christmas project in mind so I'll link when I get it finished. I have dozens of embroidery hoops...and am thinking this might be particularly sweet with the metal ones...hmm...will have to give it a try! They look great and even better in person! Thanks again for having us. Can't wait to get all the goodies in the shop. Your BLOG header makes me dizzy with ENVY....!! Sorry Lovey I HAD to get that out first....SERIOUSLY....I DO LOVE your header....!!!!! 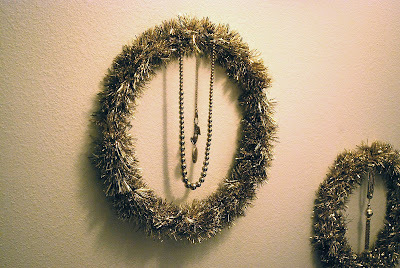 Your wreaths are GORGEOUS....We don't really have embroidery hoops as readily available in Australia as you seem to over there....I tend to pick up the cane craft wreaths throughout the year when I'm rummaging through thrift shops though to make mercury glass wreaths.... :o) ! I had to smile at your camera woes....I went through the SAME thing yesterday when I went to take my pics....And I'm SURE my charger was hiding from me too....hahahahahahaha....! THANKS SO MUCH for stopping by to help celebrate our 100th posts....I've popped your entries in the tub & am WISHING YOU MUCH LUCK....!!! Hello Jill, Just wanted to stop by and mention you are the lucky winner of my giveaway! Drop by and leave me your details so i can mail the Beau Bag to you. Thanks for entering! That is so cool!!! I've been walking past one of my walls for the past couple of days trying to figure out what to do.... now I know! ;-D Thank You! LOVE THEM!!! I am late to the party but finally here! The wreaths turned out lovely. A wonderful way to use up some of the pretties laying in jewelry boxes. I just heard about this party. It is right up my style too! I collect those hoops too. Reminds me of when I had time to cross stitch and embroider. I just found your site at Linky Parties. 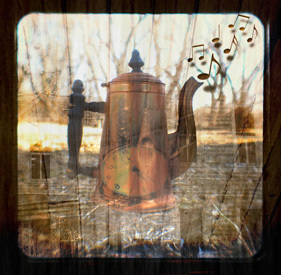 Love this link up, as a preschool teacher we use heaps of junk creations. Sometimes what the kids make are truly amazing. Hope you count dough as "Junk".